Buh-bye creamy lip colours! See ya shimmery shades! A velvety, matte lip is an absolute must and we’ve got just the goodie to help you get it done right: Suede Matte Lip Liner. 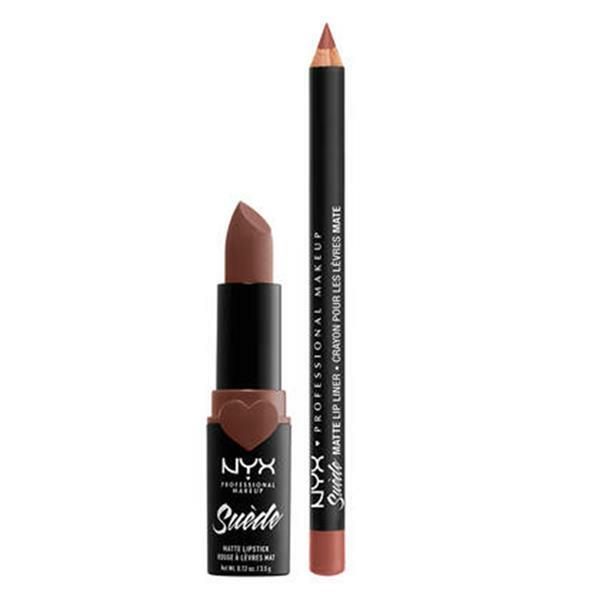 Available in 27 richly pigmented hues, these pencils were created with colours from a few NYX Professional Makeup fan faves in mind--the Liquid Suede Cream Lipstick, Matte Lipstick and Soft Matte Lip Cream to be exact. Every shade goes on super smooth and provides the perfect base for the NYX Professional Makeup much-loved matte lippies.